It must be emphasized that not a single classical writer—including Clement of Alexandria (in Stromata Book V, Chapter IV) — ever indicated that the Egyptian alphabetical form of writing was a “cursive” or “degenerated” form of the Ancient Egyptian pictorial hieroglyphics. Yet, shamelessly, some “scholars” invoked the writing of Clement of Alexandria to insist that out of Egyptian hieroglyphs sprang a more cursive writing known to us as hieratic, and out of hieratic there again emerged a very rapid script sometimes called enchorial or demotic. In the 12th Dynasty (2000-1780 BCE), about 700 signs were in more or less constantly used. There are practically unlimited numbers of these natural symbols. 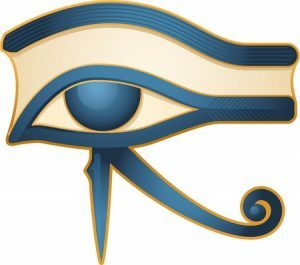 Since deciphering the metaphysical Ancient Egyptian hieroglyphs is beyond Western academia’s capabilities, they have dubbed it a primitive form of writing! Academic Egyptologists cavalierly chose 24 signs out of hundreds of hieroglyphs, and called them an ‘alphabet’. Then they gave various “functions” to the other hundreds of signs, calling them “syllabic”, “determinative”, etc. They made up the rules as they went along, and the end result was chaos. One can easily see the struggle of academia to understand the Ancient Egyptian hieroglyphic (metaphysical) texts. A pictorial sign has NO SINGULAR sound value. Only an individual alphabetical letter has a corresponding singular sound—which was the case in the TOTALLY unrelated alphabetical language of the Ancient Egyptians known as “hieratic” and “demotic” writings—a very distinct and independent form that has nothing to do with the Egyptian hieroglyphic form of cosmic communications. Read more about the alphabetical language of the Ancient Egyptians in The Ancient Egyptian Universal Writing Modes by Moustafa Gadalla. 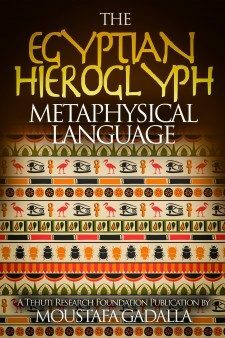 The Egyptian hieroglyph metaphysical language is consistent with the fact that there are, indeed, things that cannot be put into words. They make themselves manifest. They are what is mystical. Confronted by these mystical ‘things’, the reality which authorizes speech and words are condemned to deal only with appearances. Reality—whether logical form or forms of life— remains obstinately outside speech. It constrains what we say, yet refuses to be spoken. Unless we concede the existence of a transcendent reality outside speech, we become solipsists with no grounds for speaking. So, speaking depends upon silence. We can only speak together by consigning the grounds of our speaking to a respectful silence.